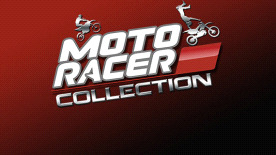 MOTO GP: Hit speeds of over 300 km/h as you race flat out against the toughest of rivals. SUPERCROSS: Go head-to-head with your rivals in all-terrain races and tease them with your fanciest tricks. FREESTYLE: Pull off amazing Superman seat grabs, Indy backflips and can-cans as you fly through the air.